We’re experiencing technical difficulties. Please try again later. If the problem persists, please contact us. See bundles offered at your address. Sorry, we can’t seem to find a match for . Please select one of the following options to determine service availability. *Applies to full billing periods. $59.95 one-time installation fee with a 2-year contract. Where fibre to the home is available. Check availability. Available to new residential customers in select dwellings in Ontario, where access and technology permit. Subject to change without notice; not combinable with other offers. Taxes extra. Other conditions apply. For certain offers, customer must select e-bill and create MyBell profile. Any portion of the Bell Bundle Program may be modified, discontinued or terminated at any time. Bell is not obligated to provide the Bundle Discount for the duration of any term contract for Eligible Services, including the Discountable Services; see bell.ca/bundledetails. Price is subject to increase during your subscription. 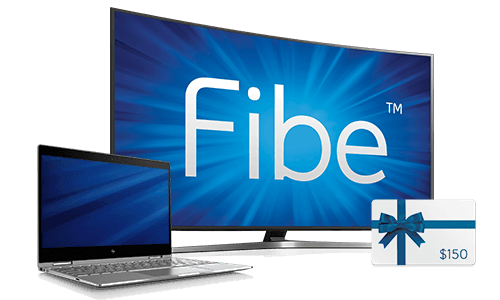 Pricing is based on continued subscription to: Fibe TV Better; Movie and Series package; Gigabit Fibe 1.5 Internet; Home phone Lite; 4K Whole Home PVR; Whole Home Wi-Fi pods. Any change made to services may affect the price and/or result in the loss of credits or promotions, as the case may be, as eligibility conditions may vary. Fibe Internet: Gigabit Fibe 1.5 Internet package: modem rental required; one-time modem rental fee waived for new customers. Download speeds of up to 1.5 Gbps. Actual speeds experienced on the Internet may vary with customer's configuration, Internet traffic, server or other factors. Upload access speed up to 940 Mbps. Use of the service, including unlimited usage, is subject to Bell’s Terms of Service; bell.ca/agreements . Internet promo - 12 mo. TV promo - 12 mo. Please select a service to continue. Fibe TV is available for purchase online bundled with Internet. For more options, call 1 866 210-9786. $0 rental based on $15 monthly rental fee, less a $15 monthly credit. Available to new Bell TV subscribers with continued subscription to three eligible Bell services; see bell.ca/bundle. The receiver remains Bell's property. You may terminate your rental at any time provided you return the receiver (early termination fees on programming may apply). Receivers may be new or refurbished at Bell's choice. Great news! These services are available at your address. Continue to browse offers specific to your address. Please try another address or call 1 877 292-0877. We found addresses matching the details you provided. The address you're checking is located in a province other than the one you selected to browse our Web site. Would you like to choose a different province instead? The address you’re checking is located in an area served by our partners at Bell Aliant. Would you like to go to the Bell Aliant website instead? The address you’re checking is located in a province other than the one you selected to browse our website. Would you like to go to the province of the address you were checking? Enter your postal code below.- This information is required. Check if the offer you selected is available at your address. If you already have residential services with Bell, log in or register to complete your bundle. Enter your postal code below. Don't know your postal code? Please enter your postal code in the following format: A1A 1A1. We were not able to recognize the format of the information provided. Please try again. Please enter your address below. (*) indicates required information. Do you live in an apartment? We found matching addresses. Please provide the missing information, if any. (*) indicates required information. This service is currently not available at your address. Other options may still be available to you. Please call 1 877 852-8227 to find out. Please provide your contact information and we’ll call you in the event that services are available at your address. We will contact you in the event that services are available in your area. We’re experiencing a technical problem. Please try again later. If the problem persists, call us at 1 877 852-8227 for help.